The personal archive of Ernest Golledge reveals the effect of the First World War on the life of St John’s Boys’ Elementary School in Ealing, of which he was the inspirational headmaster. Perhaps the first impact of the war was the departure, on 14 November 1914, of one of its masters, enrolled as an instructor in the ‘New Model Army’. The second was an increased number of visitors in uniform. 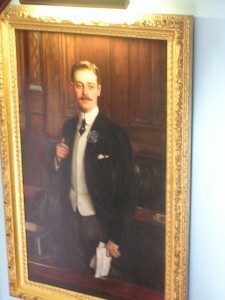 Adept at attracting ‘celebrities’ into the school – he had even persuaded Shackleton to give a talk there – he soon arranged visits by Lieutenant-Commander Norman Holbrook, V.C. – ‘a real schoolboy’s hero, a man of the sea, sunburnt, jolly and breezy’ – and an old friend, an habitué of the nearby Hendon Aerodrome, Lieutenant Louis Noel of the French Flying Corps. 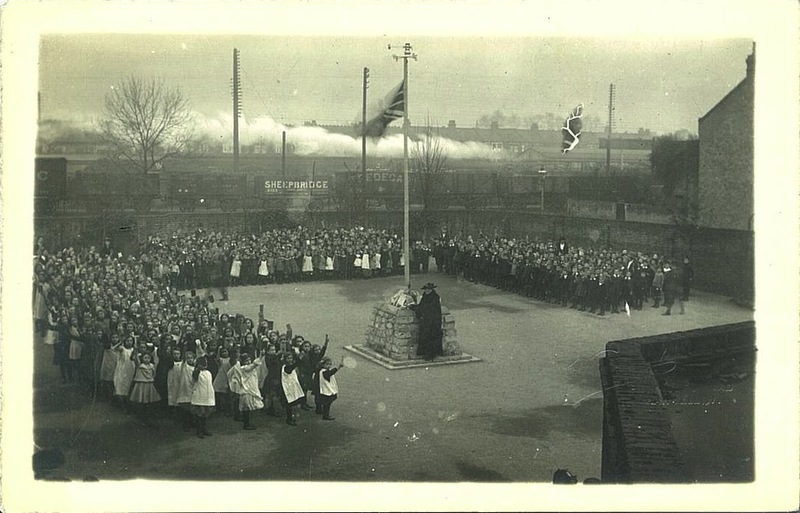 With mounting casualties among old boys, Ernest soon decided to erect a war memorial in the playground, one of the earliest to be raised, and to have some of its stones placed in position by visiting dignitaries. The first of these was the Hon. J.G. Jenkins, late Premier of Australia. Most of the heavy stones had been lifted into place by the boys themselves. A number of wounded soldiers, some with their arms in slings, were on hand to witness the ceremony. In October 1916, Ernest invited no less a personage than Field Marshal Lord French, commander-in-chief of the British Home Forces, to ‘fix a corner stone on the “Cairn”’. Surprisingly, Lord French was ‘very much inclined to accede to your request’. His visit, postponed till 19 September 1917, despite much badgering from Ernest, lasted a mere ‘quarter of an hour’, during which he pinned the Distinguished Conduct Medal on the chest of a St John’s old boy. Private William Bristow of the Rifle Brigade, whom Ernest described as ‘an average type of boy’, had crawled under German wire entanglement at Armentières to lob a grenade into a crowded trench, and was to spend two and a half years in hospital for his pains. The patriotic Ernest encouraged his boys to invest in the ‘War Loan’, an initiative in which children all over the country were involved. H.R.H. the Princess Louise lent her support and duly visited the school. She returned in the autumn of 1917 with her brother, the Duke of Connaught, who applied ‘a quantity of cement’ to the cairn before unveiling a portrait of Lord Kitchener. In January 1918, it was pointed out in the press that special significance was attached to the four corner stones of the cairn. 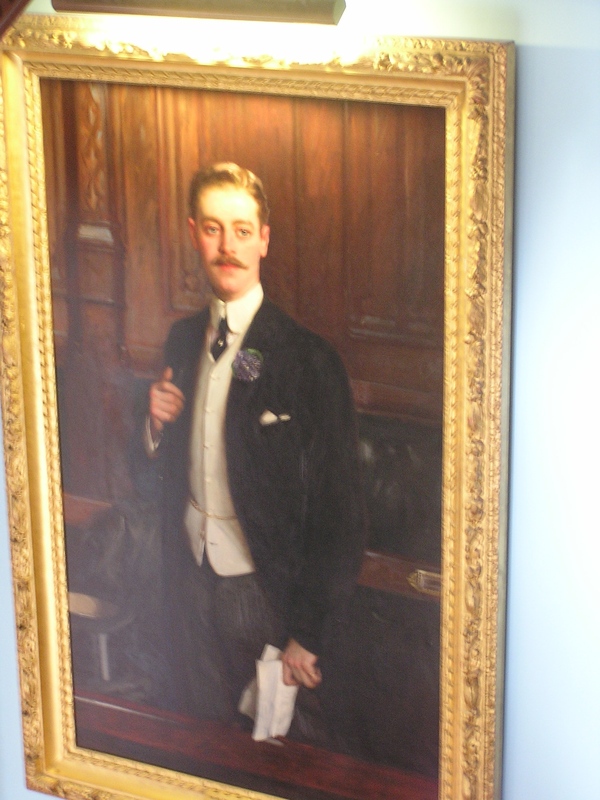 Three of these had been laid by Lord French, the Duke of Connaught and Lord Jellicoe. Ernest was said to have in mind the Chief of Staff, General Sir William Robertson, to lay the fourth. In the event, it was Haig himself who performed the duty, probably late in 1920. It is disillusioning to find a far from united home front. Every headmaster was obsessed with attendance figures. With much of the working population away at the front, able-bodied schoolboys were in high demand as workers. As a result, the self-interested tradesmen of Ealing had lured almost a quarter of Ernest’s boys from their classrooms – illegally – and, by December 1916, he was barely managing to hold the school together. A cynical, or pragmatic Mayor had instructed the attendance officer to turn a blind eye to the ‘wholesale employment of boys – as errand boys’, which had eventually reduced the school roll by nearly a quarter. A lack of sufficient fuel that winter, an exceptionally harsh one, would hardly have helped. On 5 February 1917 the temperature in the unheated classrooms fell below freezing. The only option for the shivering boys was a lesson in ‘Drill’. Ernest caught a ‘severe chill’, as did ‘several of the teachers’ and ‘many of the children’. Such conditions were not just to be endured for a single day, but for weeks on end. ‘No fires in afternoon and no coal although plenty on order. Secretary informed.’ There is little sense of a community pulling together in adversity. Ernest seems almost to have been abandoned by the school managers, the local authority and by the townsfolk in general. Thefts at the school – of an umbrella, coats and Ernest’s own bicycle – were a further irritant. In addition, there was the general disruption that came from being in a state of war. On 3 October 1917, pupils on their way back to school after dinner were sent home by police because of an air-raid warning, a Zeppelin looming overhead. In January, Ernest logs the endless queuing for provisions in the open air as a cause of increased illness among the children. The unfolding national tragedy of course added to the sense of gloom. Ernest was intensely proud of the part played by his staff and old boys in the war effort. 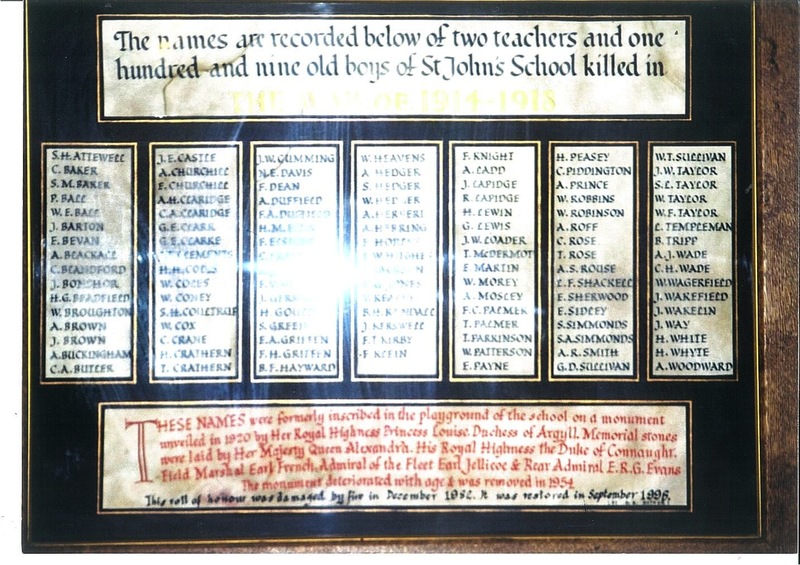 By the end of the war, no fewer than 475 former pupils had visited St John’s in khaki, an astonishing indication of their loyalty to him and the school. Ernest made active interventions on behalf of his pupils, for example recommending suitable candidates to the newly-formed Royal Flying Corps. He also kept a tally of the school’s ‘War Honours’. These would eventually amount to a Military Cross, three Distinguished Conduct Medals, eight Military Medals and two mentions in dispatches. Ernest preserved the stories of many of them in a scrapbook. Blake, whose head must have been ringing from the blast, told the boys that his eye was caught by a piece of paper that was fluttering on the ground in front of him. He had picked it up and examined it. Then he remembered that Kealey (Ernest misspells the name) had had it in his hand when the shell had struck. It was a photograph of the school-yard at St John’s. Blake had brought it with him to show the boys. Blake was again on parade at the school, as a police constable, on Empire Day 1924, when Princess Louise, by now a firm admirer of Ernest Golledge, presented him with the Police Medal. Bemused, if not reluctant heroes, the poor, undernourished, often lice-infested boys of St John’s School, many of whom had never seen the sea or even been to London, had learned much from their magnificent headmaster about ‘playing the game’. On Golledge, see also http://www.rupertwilloughby.co.uk/gleanings/ernest-golledge-headmaster-of-st-john’s-school-ealing-and-the-visits-of-the-antarctic-explorers-ernest-shackleton-teddy-evans-and-frank-wild/. 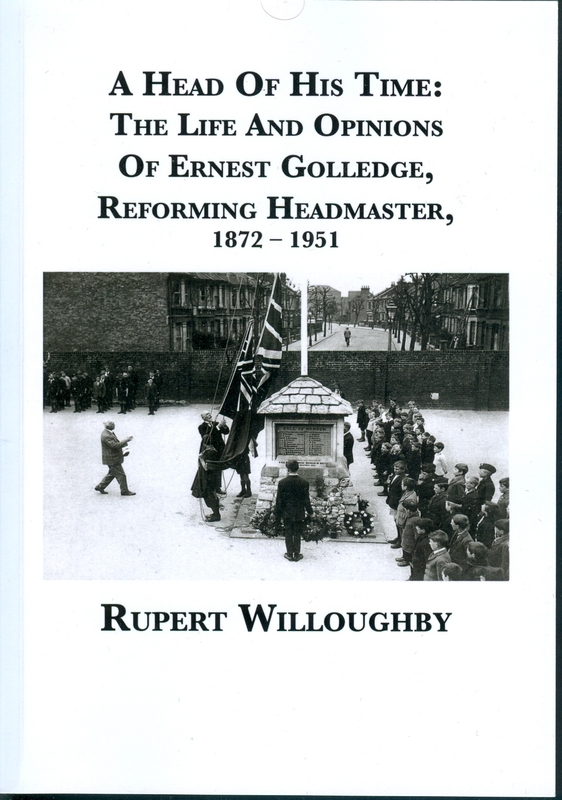 For a full account of St John’s School, Ealing, during the First World War, see Rupert Willoughby, A Head of his Time: The Life and Opinions of Ernest Golledge, Reforming Headmaster, 1872 – 1951. What Became of Madame Kolychko (née Princess Varvara Sergeevna Obolenskaya)? At 8 o’clock on 1 January 1897, a merry, cosmopolitan party of fourteen adults and children sat down to dinner. 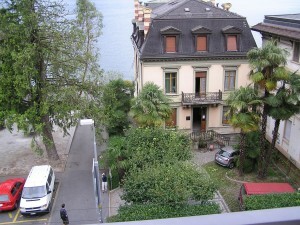 The gathering took place at the Villa Monney, Montreux, overlooking the Lake of Geneva. Gorgeously set against a mountain backdrop, Montreux at that time was a favourite resort of Europe’s élite. Alexandre Dumas père had called it ‘an international playground snipped off from France, Germany and Italy’. It had a casino – the Kursaal – a public park, numerous grand hotels, a railway station and a quay from which steamers regularly plied to various points around the lake. The romantic Château de Chillon nearby had been celebrated by Byron in one of his most famous poems. 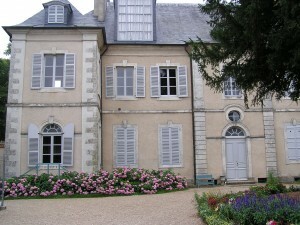 In the heart of the town, the Villa Monney was the temporary base of a noble French family, consisting of the Marquis Nicolas de Faletans, a splendid, blond, moustachioed giant from the Franche-Comté; his petite Russian wife, Olga; and their pretty, teenaged daughters, Nicole and Simone. The family had forsaken their other homes, including the Château de Faletans, near Dole, for reasons of economy. The extravagant Marquis seemed to lurch from one financial crisis to another – and Switzerland was a remarkably cheap country in which to live in those days. The hospitable Faletans had invited their close friend, Madame Kolychko, to spend that winter with them at the villa. Born Princess Varvara Sergeevna Obolenskaya in 1862 or 3, she was amicably separated, after twelve years of marriage, from Iosif Iosifovich Kolychko. Her father’s estate in Russia, Mindukino, had been sold, her mother (re-married to an Italian, Albert Rey) lived in Milan, and Madame Kolychko herself divided her time between various European cities, including St Petersburg, always accompanied by her nine-year-old son, Boris, and his governess. An enchanting woman, with the sort of looks that caused people to stop and stare in the streets, Madame Kolychko dressed beautifully, was graceful in her every step and movement, had a splendid voice and liked to sing Russian folksongs, accompanying herself on the guitar. She also had a very sweet nature. In the privacy of the villa, she was wont to release her long, fair curls and, in such a state of undress, even consented to be photographed, grinning shyly into the camera. It is fortunate that the Marquis was a keen amateur photographer. Such informal photographs are very rare from this period. I rescued this one from the damp attic of a country house in France. 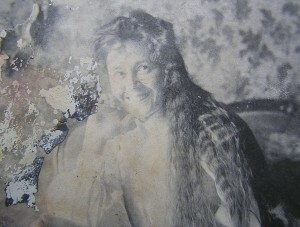 Despite the damage, it conveys a clear idea of Madame Kolychko’s exceptional looks and personality. A solitary Englishman was present at dinner that evening. With his distinctive white beard and black velvet coat, Lindsay Hall was a familiar and much-loved figure in Montreux. 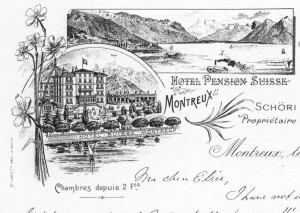 A retired cotton-broker from Liverpool, Hall resided permanently at the Hôtel Suisse, one of Montreux’s foremost hotels, which towered over the rear of the Villa Monney and had a garden stretching down to the lake. The Faletans had befriended Hall on his first arriving at Montreux, in March 1896, they themselves having been in residence since the previous September. The Marquis had attempted to photograph his daily ritual which was to feed the birds, a frantic flurry of squawking seagulls and swans, from the garden wall of the lake. Hall would happily entertain young Nicole and Simone and Boris for hours in the garden. Luckily, the foreigners all spoke good English, as Hall himself was no linguist. 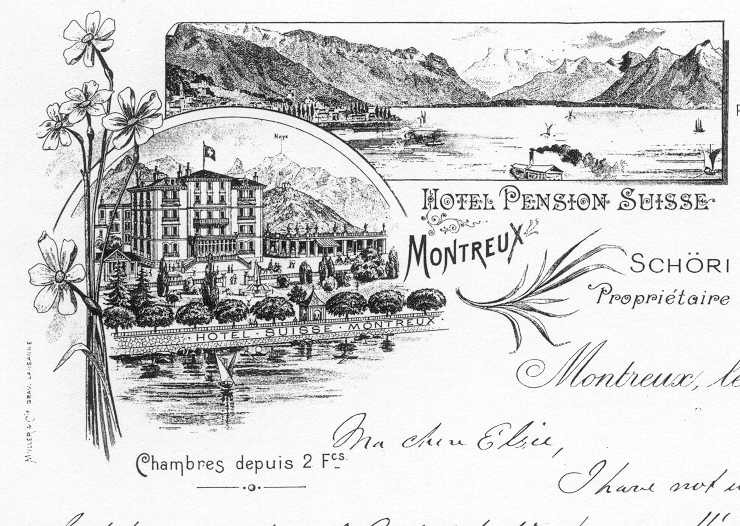 Hall had embarked at Montreux on a most delightful new life. He had discovered, apparently for the first time, that he had a remarkable gift for friendship. Owing to some indefinable quality, this slight, unassuming old man was simply adored by men and women of every age and nationality. He seems to have been a joyous companion, endlessly fascinated by other people, concerned for their well-being and determined to bring happiness to their lives. They universally responded with affection and even utter devotion. The Faletans, who were a kind and unstuffy family, had taken him under their wing and introduced him to all the élite of Montreux. 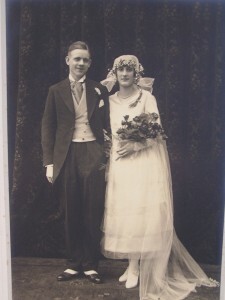 He spent most of every day with them, escorting them to the daily concerts at the Kursaal and then to afternoon tea at the Tennis Club in Territet, and, on summer evenings, sitting up late with them in the hotel garden. Hall was virtually a pauper, yet he lived in great comfort at the hotel, for the cost of living in Switzerland in those days was, indeed, remarkably low. Lindsay Hall, who survived on ‘less than £100 a year’, hardly exaggerated when he said it was about a tenth of what it was in England. He had a bright little bedroom on the un-electrified third floor, looking directly onto the Villa Monney. Often he would see his friends the Faletans on the balcony, beckoning to him to come down, or pointing to the lake if an excursion was planned. He was somewhat torn between his devotion to Olga and to Madame Kolychko, whom he called ‘the princess’. The ladies seem to have competed good-humouredly for his time and affection. At that memorable New Year’s dinner party, he was favourably seated between them. They courteously spoke only in English, whilst he ‘amused them at times to screaming laughter by my attempts at French humour, but they say I am much improving’. Among the other guests were Jeanne Daudet – the adored granddaughter of Victor Hugo, daughter-in-law of the novelist Alphonse Daudet and ex-wife of the journalist Léon (to whom Proust was to dedicate Le Côté de Guermantes) – and Jeannine d’Hauterive, daughter of Alexandre Dumas fils. Hall observed the ‘different ways & manners’ with fascination. Through a fog of cigar smoke, the Marquis told the men of his work in Belgium, which accounted for his frequent absences. He was an inventor, specialising in armaments, He had already secured a significant contract to modify the rifles of the Russian army, and was now looking for similar contracts elsewhere. He travelled all over Europe and was often in Russia, where he had held a post at the Embassy. Hall, who struggled to keep up with conversations of this sort, had a merry time instead with the women. Young Nicole, excitedly and in stuttering English, embarked on some elaborate story about a dog. Apparently it had belonged to Madame Daudet’s grandfather, Victor Hugo. It was a poodle – not a toy poodle, a proper one, bred for hunting – and had become a nuisance to its master, requiring constant attention. On a whim, he had given the dog to Nicole’s Papa, who had taken it with him to Russia, but one day the dog had vanished and then a month later had turned up in Paris in a terrible state, barking feebly at its master’s door. No one could explain how it had made such a journey in so short a time, or how it had found its way. Madame Daudet had smiled and nodded in verification of the tale. She had known the dog and had grown up with it in her grandfather’s house on Guernsey, for Hugo had been deeply moved by its devotion and had sworn never to be parted from it again. Neither Madame de Faletans nor Madame Kolychko could have predicted how involved they would both become with Lindsay Hall. Was he in love with them, and why did they find him so appealing? I suspect that both women, neglected by their husbands, were flattered by his attention, his willingness to listen to them and notice them, without ever feeling challenged sexually (Hall was in his late sixties and a very proper Victorian). Hall may have wished it were otherwise, but a barrier of formality seems always to have been maintained, apart from some mild flirting. The picture reproduced here is marked in pencil on the back: ‘Madame Kolychko, Villa Monney, 1897’. I am unable to identify her positively in any other photograph. 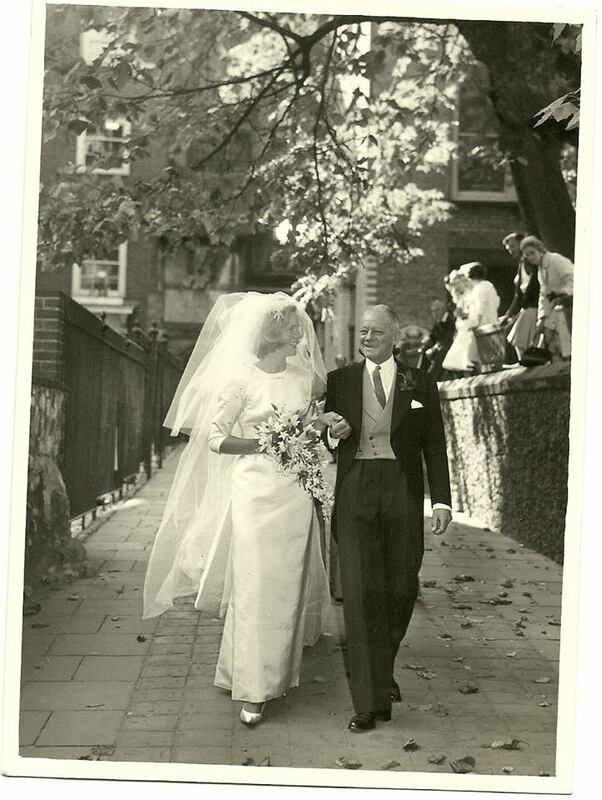 According to the Obolensky family genealogy, she survived Lindsay Hall by 46 years, dying on 18 March 1956, aged 93. I have no further information about her long life, nor do I know what became of her son, Boris Iosifovich Kolychko. One hopes that he survived the twin calamities of the Great War and the Russian Revolution. It would be sad to think that nothing of Madame Kolychko, who made such an impression on contemporaries, had outlived her, not even a memory. I hope that I, in telling her story, have provided a fitting memorial. Since their meeting in 1852, Alexandre Dumas fils had formed a close friendship with George Sand, whom he addressed as his ‘Mama’. 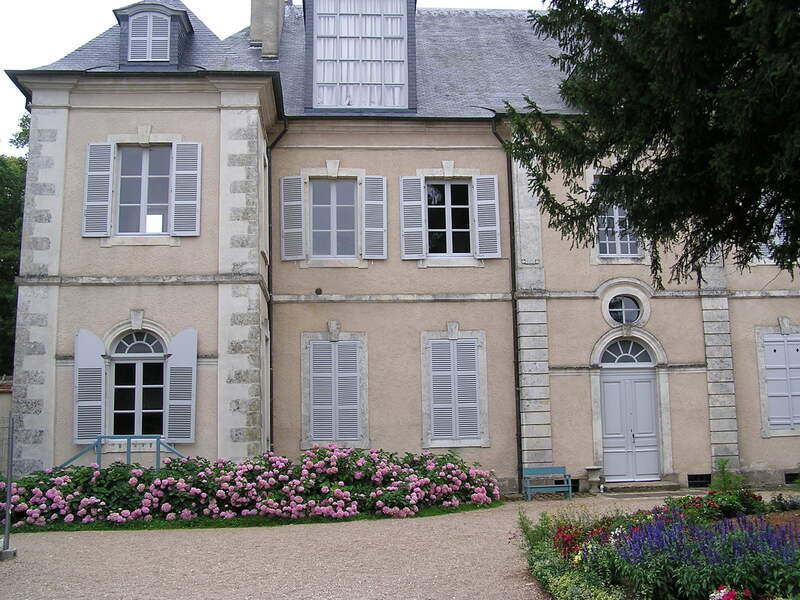 In the summer of 1861, he spent a restorative month with her, alone, at the Château de Nohant, her home in the Berry. There was much discussion of his mistress, the beautiful Nadezhda Naryshkina. She had long since abandoned her aristocratic husband in Russia, but his inability to marry her had driven Dumas mad with frustration. Sand, an advocate of free love, scarred by her own unhappy marriage, had heard bad reports of Nadezhda and would have thought him unwise, but had done her best to encourage him and cheer him up. A few weeks later, Nadezhda had been persuaded to accompany Dumas on a return visit to Nohant, invited by Sand to view one of the famous performances in her private theatre. 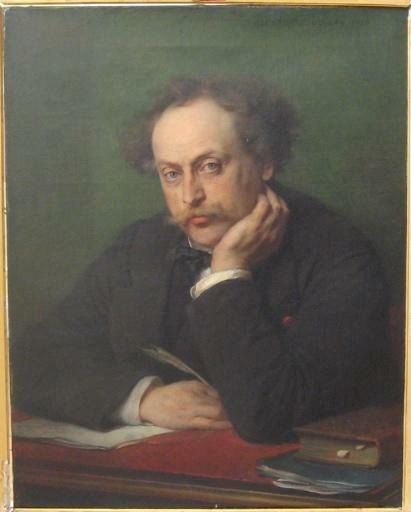 Dumas wrote on 20 September, asking if Nadezhda’s teenage daughter, Olga, might join them. ‘She can sleep in her mother’s room on a sofa. She, as a young Muscovite traveller, will love that!’ He had also begged to be allowed to bring his burly painter friend, Charles Marchal, known as ‘the Mastodon’, who ‘can sleep anywhere, under a tree, under the well’. Sand had written separately to Dumas and to Nadezhda at Villeroy, assuring them that all would be welcome. Surprisingly in awe of Sand, and expecting to feel inadequate, Nadezhda had been putting off a meeting and had hoped to leave after a day. The socialist Sand, who at fifty-seven was fixed in her ways, had been somewhat apprehensive, too. The ‘princess’ might be shocked by the ‘democratic’ spirit of Nohant, by having to sit side by side with the hairdresser, the cloth merchant, the vet and other lesser beings, for all were received there on equal terms. Even at the last minute she had fussed over the arrangements, concerned that the presence at the table of a young actress, Marie Lambert, might offend. The guests had been led up the grand staircase to their rooms on the first floor, or, in Marchal’s case, the attic, where he was to sleep on a camp bed. Under the light of her Venetian chandelier, the mannish, cigar-smoking Sand and her son Maurice had awaited them in the opulent salon, with its Louis XVI armchairs and harp and the piano that Chopin (a former lover) used to play, Sand’s own famous portrait by Charpentier and those of her illustrious ancestors, including Maurice de Saxe, natural son of the King of Poland. Marie Lambert had been there, along with Léon Brothier, who had arrived by the morning train. Sand had noted of Marchal, as big and boisterous as her Newfoundland dogs, that he had ‘a nice face’. Dumas had brought depressing news, a mutual friend having suddenly died, and the party had gradually dispersed, sad and exhausted, to bed. She had promised a series of demanding performances lasting well into the night and guaranteed to make her audience sweat. Whether Nadezhda and Olga had been able to make sense of Le Drac is unclear, but Sand later reported that it had ‘greatly pleased Dumas fils and other competent observers’. 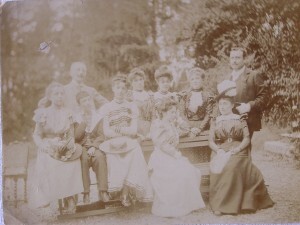 It was perhaps with some relief that the Russian ladies had left on 30 September, to be followed by Dumas on 9 October. The rascally Marchal, an unabashed, unsubtle womaniser who never failed to amuse, had stayed on till 22 November, having charmed his way into his ageing hostess’s bed. Marchal had soon proved unreliable, but at least Sand seems to have taken a favourable view of ‘the two Russias’ (as Dumas called them), and to have been impressed by their exotic pedigree. Always remembering them to Dumas in her letters, she referred to them as ‘the châtelaines of Villeroy’ or ‘our princesses’, whilst Olga is variously ‘the young autocratess Gachetscowa I’ or ‘the fair young Czarine’. Olga was destined to make an impression, having grown into the image of her mother, with the same delicate features, Roman nose and auburn hair. 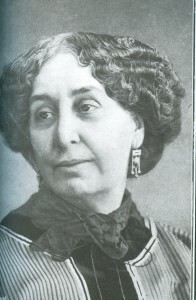 George Sand was thenceforth to be notably solicitous for her welfare. A local historian believes he has discovered the Basingstoke house in which Katherine of Aragon spent a night in 1501, on her way to marry the elder son of Henry VII. Katherine is known to have passed through the town on her journey from Plymouth. 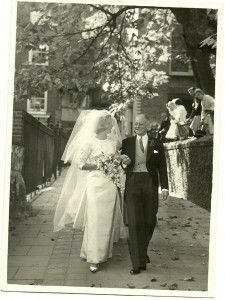 She was the guest of Richard Kingsmill, a prominent Basingstoke citizen. Kingsmill’s house was on the south side of Winchester Street, most of which he owned. It would have to have been very large, as well as grand, to accommodate Katherine’s entourage. The buildings in Winchester Street today are mostly modern, with none appearing to match the description of a grand Tudor building. 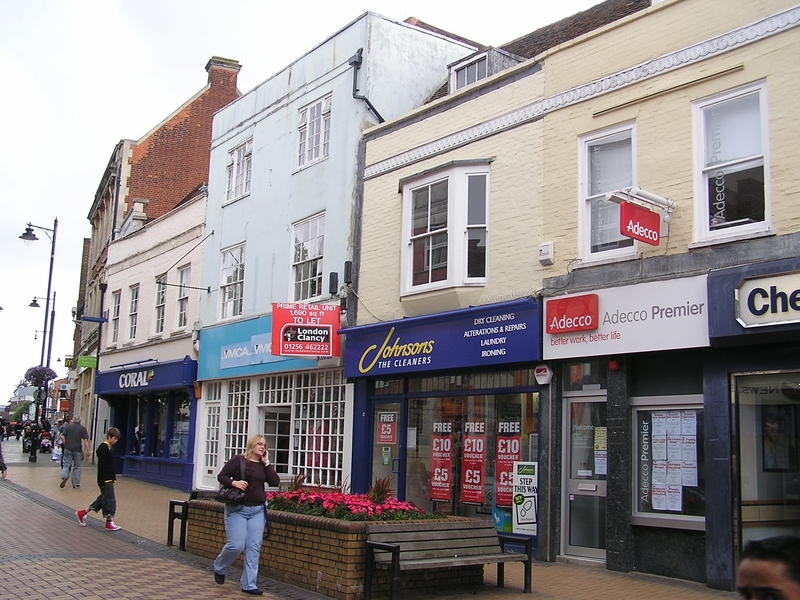 However, Rupert Willoughby believes he has identified the house as the one immediately west of Barclays Bank, which was long ago converted into shops. He discovered it by chance while researching a new history of the town. 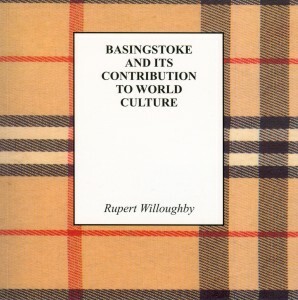 He describes his book, Basingstoke and its Contribution to World Culture, as a quest for the lost Basingstoke, which he believes has been ruined by post-war developers. To his delight and surprise, he discovered that much of the old ‘Top of Town’ had been preserved, including all but one of its historic coaching inns. 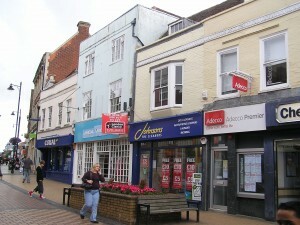 He considers the Maidenhead Inn in Winchester Street, first mentioned in 1671, to have been the former Kingsmill house. Large town houses were particularly suitable for conversion into inns and this is known to have happened to Sir James Deane’s house next door – on the site now occupied by Barclays Bank – which became the Angel. 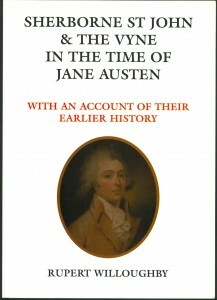 The Maidenhead has added historical interest as the landlady, Mrs Martin, was an acquaintance of Jane Austen. Jane’s father is thought to have been a member of the Hants Club which regularly met there. Mrs Martin organised the Town Hall assemblies that are re-created in her novels. 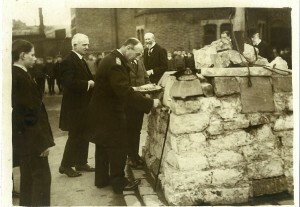 Mr Willoughby points to evidence of an archway for coaches that has since been filled in. He calls for an urgent investigation by architectural historians, so that the date of the building can be established, and steps taken to ensure that it is properly preserved. Katherine of Aragon’s marriage to Arthur, Prince of Wales, which took place shortly after her visit to Basingstoke, was an event that changed the course of history, as it gave her second husband, Henry VIII, the pretext for his divorce. The people of Basingstoke are likely to have turned out in large numbers to greet her, though they may not have been impressed by her Spanish entourage. Sir Thomas More was to describe them as ‘undersized, barefoot pygmies’ and ‘refugees from hell’. 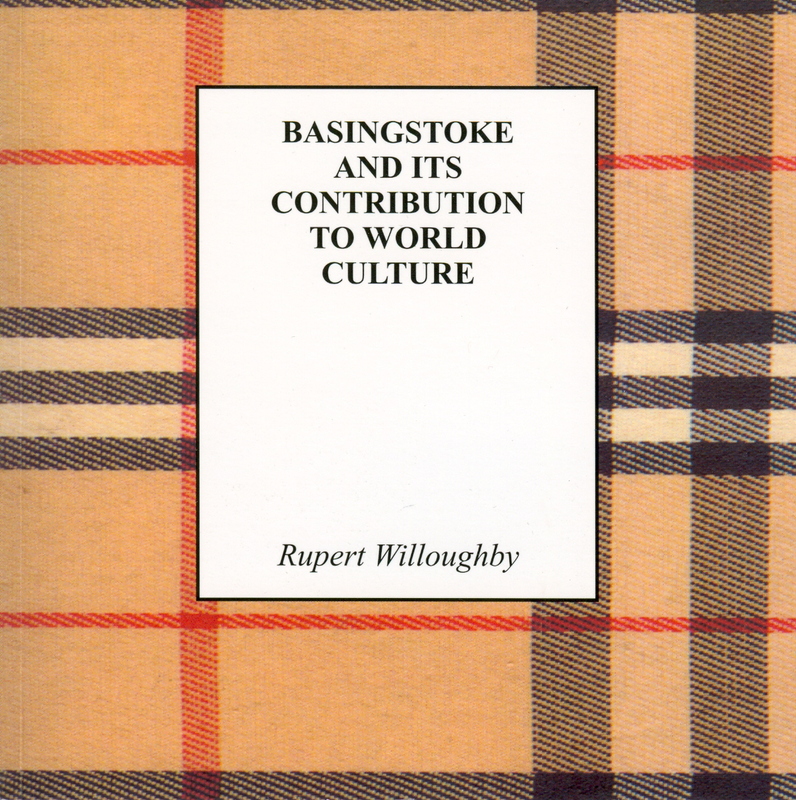 Rupert Willoughby’s book, Basingstoke and its Contribution to World Culture, is available now from all good stockists, priced at £10.99. For more information, see http://www.rupertwilloughby.co.uk/books. Lost work by Sir John Soane, one of England’s most influential architects, may have been rediscovered at Sherborne St John – five miles from its original location. The discovery has been made by historian Rupert Willoughby at Beaurepaire Park, one of Hampshire’s least-known treasures. Beaurepaire was the seat, from 1353 to 1873, of the Brocas family, whose land stretched continuously from Burghfield Hill to Basingstoke. Set in glorious parkland and surrounded by a medieval moat, the remains of the eighteenth-century mansion, wrecked by fire during the Second World War, were beautifully restored in the 1960s. 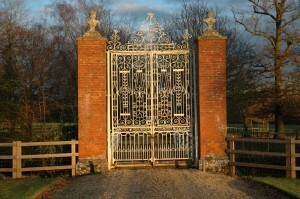 A prominent feature of the property is its moat-bridge entrance – a pair of elaborate wrought-iron gates supported by tall, brick pillars, each surmounted by the Moor’s-head crest of the Brocas family. 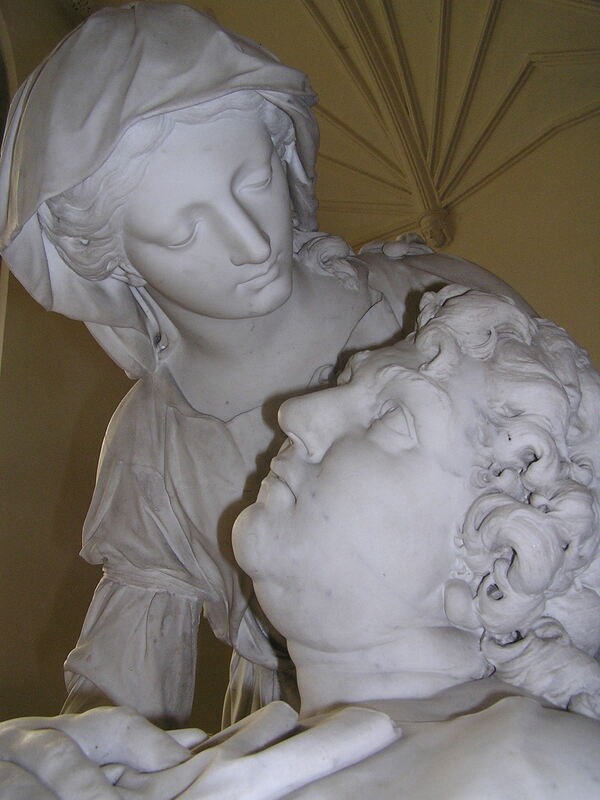 The romantic, often dramatic story of Beaurepaire and the Brocases – including royal visits and a lengthy Civil-War siege when it was defended by the lady of the house – is told by Rupert Willoughby in his book Sherborne St John and the Vyne in the Time of Jane Austen. It was while researching the book that Mr Willoughby discovered a reference to the construction of the bridge. ‘An old Bramley farmer called William Clift, who was born in 1828, recalls the event in his memoirs. 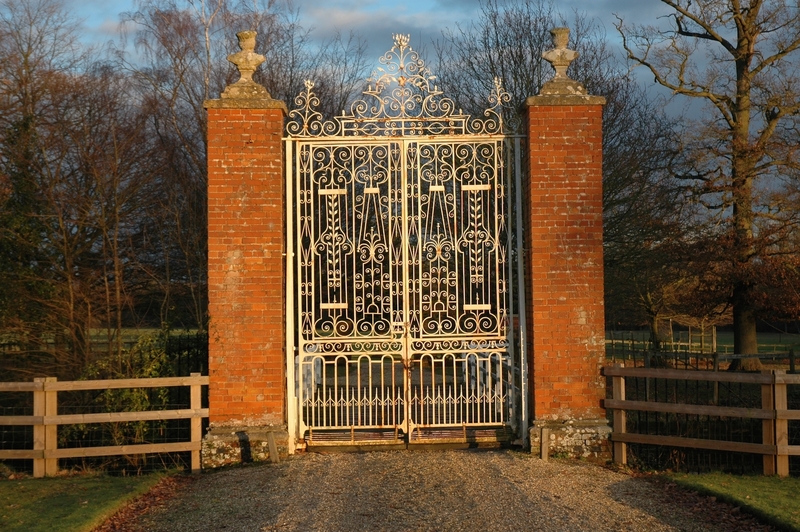 According to Clift, the “large iron gates at the entrance over the moat” were brought from Wokefield Park, on the Brocas estate at Stratfield Mortimer, which had been the family’s favoured residence in the eighteenth century. Clift’s father provided the timber for the bridge. This occurred during his childhood and presumably coincided with the sale of Wokefield in 1839. ‘Soane, the foremost architect of the day and a local boy, brought up in Reading, had worked for Mrs Brocas at Bramley Church. He built the so-called Brocas aisle, completed in 1802, which houses the monument to her late husband. Mr Willoughby found a drawing for the Wokefield gates in the archives at Sir John Soane’s Museum, in Lincoln’s Inn Fields – the architect’s former home which he left to the nation, along with all its contents – and compared them with those at Beaurepaire. The records show that Soane made nine journeys to Wokefield in 1788 and charged £650 for his services, a substantial sum. Soane was at the height of his profession. In the same year he was appointed architect to the Bank of England. The building was his masterpiece and its demolition in the 1920s has been described as the twentieth century’s ‘greatest architectural crime in the City of London’. Rupert Willoughby’s book, Sherborne St John and the Vyne in the Time of Jane Austen, is available at all good stockists, priced at £10.99. 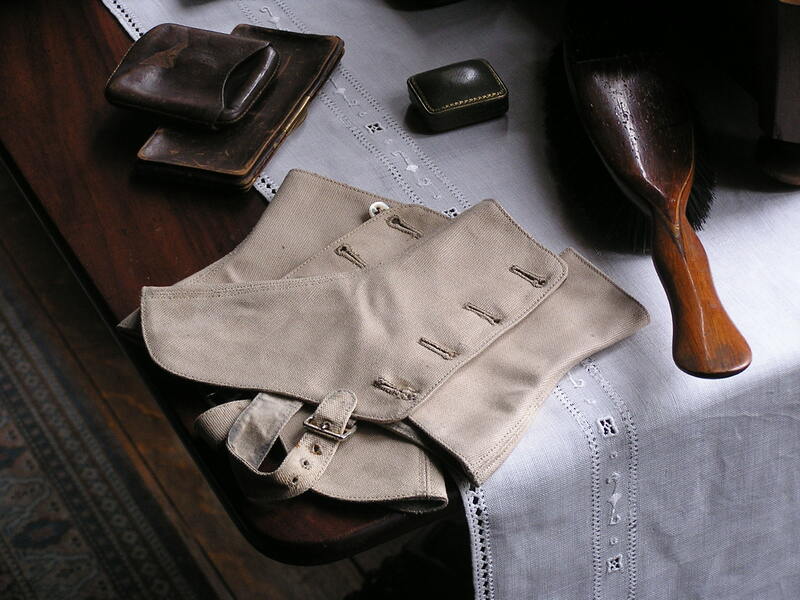 Sir John Soane’s Museum in London is open throughout the year and admission is free.